At the end of August 2012, I found my self answering a request from Lincrusta training manager Andy Sarson. A few of us had been asked to go up to Thorpe House in Halifax the week before for a couple of days, but due to work commitments and holidays, I found myself working alone alongside Andy Sarson. 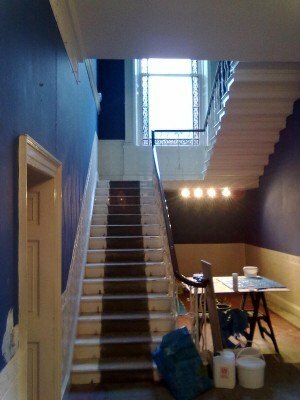 Lincrustra are involved with a restoration project at Thorpe House in Halifax. Thorpe House is a 19th Century mill owner’s house, which has been in the current owner’s hands since the 1950’s. The house had been used as a private residential home for the elderly up until a few years ago. But now the sisters who own it, want to return it to its former glory and open it as a bespoke bed & breakfast – if you saw the rooms and rolling gardens down to the private lake, you can see why! Throughout the house there are fine examples of original lincrusta wallcoverings, friezes and borders. Unfortunately in the entrance hall some were damaged or missing completely. The pattern design (fern) had long been discontinued, but as a listed building the homeowner was bound to conserve the original features. 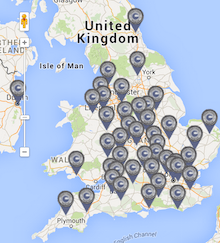 So Lincrusta had been contacted to see if they could help. During the Second World War, most of Lincrusta’s original pattern rollers (the ones that emboss the pattern in the factory) had been melted down for the war effort. So if I tell you there were originally over 1000 pattern designs and there are now aprox 30, you can see there is a lot of Lincrusta out there that cannot be replaced like for like! So Lincrusta have developed a repair and restoration kit. 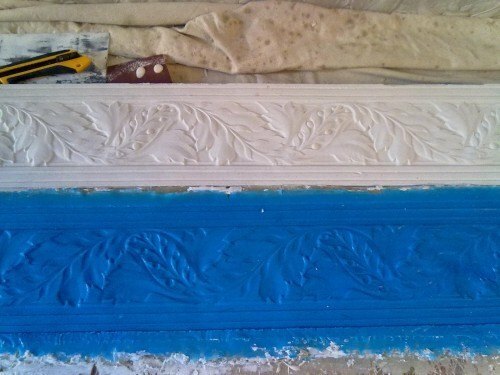 The kit involves taking a cast of the original wallcovering/frieze which can be done “on the wall” or if a panel of the lincrusta can be removed, it can be cast on a bench. 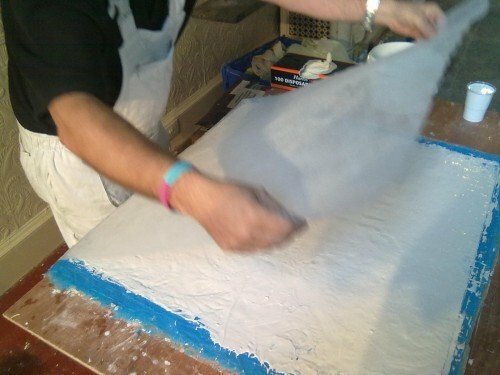 The cast then has a mould poured in to it, which is re-inforced with fibreglass. Once set (which takes around 40 minutes, depending on conditions) the moulded replacement is applied “green” to the surface. Because it still “green”, it can be moulded and cut better than when it has been left over night. Tile adhesive is used in stead of lincrusta glue, to give solid adhesion. My day was spent learning this new method with Andy, and then helping to replace missing borders and dado fillings. 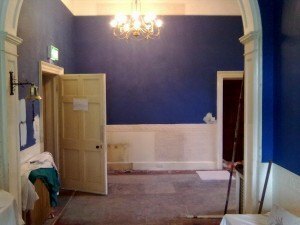 Once this is all completed, a group of decorators are going to offer their services to paint the hall, stairs and landing. It was a pleasure to offer my services and spend a day “back at school” learning from Lincrusta’s training manager, Andy Sarson. As with all articles on the site, this account relates to the experience and the perspective of a trusted Traditional Painter recommended decorator or recommended supplier. However, if you were involved in the work at Thorpe House, or are involved in decorating work on this project, you are welcome to add to the conversation in the comment section below. 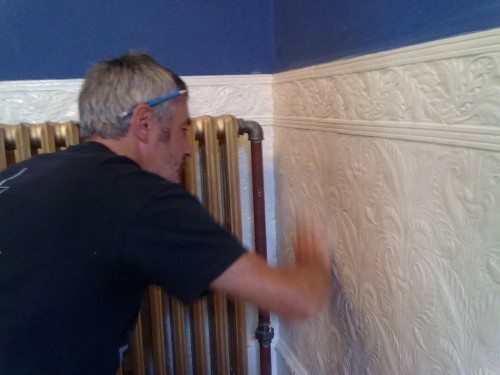 Specialist painter and decorator, Martin Dunn, is a member of the Traditional Painter UK network. He is the first port of call for hand painted kitchens from Birmingham to Stafford and S Cheshire. 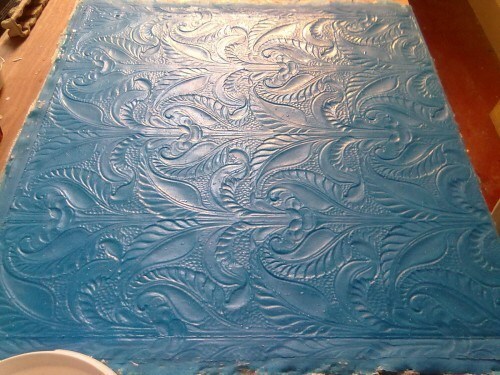 There is nothing quite like Lincrusta relief wallcoverings on the market, and the company pretty much use the same recipes and techniques at the manufacturing stage as they did back in the 1800’s when it first appeared. 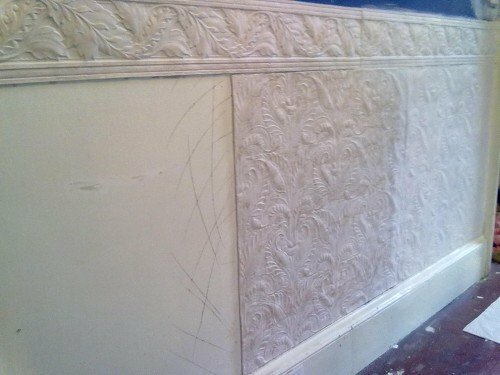 As Martin explained, over the years, the original pattern-making tools have been lost, so for installers, it is not always just a matter of checking a pattern in a period home, and going to Lincrusta for a roll! Andy Sarson is the training manager at Lincrusta, ensuring that craftsmen have a full understanding of the skills and techniques required to install and restore Lincrusta wallcoverings in the correct manner. Once painted (and decorated if required with specialist decorative paint finishes) Lincrusta will last many many decades if everything is done by the book. 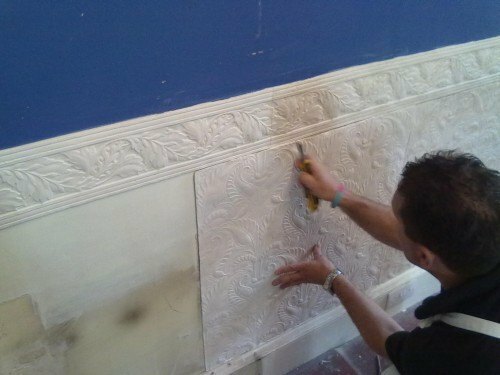 If you are interested in becoming a Lincrusta installer or upgrading to Advanced Installer, Andy Sarson runs Lincrusta courses for all levels around the country. What a fantastic job! Pure quality. Are you involved at Thorpe House? That job could have saved me some money! I could have done the stage Lincrusta course, enjoyed myself, and done somthing to preserve what is a beautiful looking property, all at once! Oh well, it looks like I will have to pay for it now! It did sound like a perfect weekend for Lincrusta installers. Next time? I would think that there will be further opportunities to flex your Lincrusta arms, Martin. Before I met you via the Traditional Painter kitchen painter group, I knew about you from your Lincrusta work. 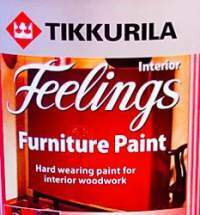 You made some plum trips in the past on Lincrusta duty? Even further than Halifax I believe! Good morning my full house is decorated in Lincrusta wallpaper. Hello, Have just discovered this useful website. Our sitting room is decorated with lincrusta panels. Above a radiator a join has come unstuck (presumably due to the heat) abut 18 inches long and a tiny bit of the lincrusta plaster has been lost. I would be very grateful for any advice on how to repair this. Thank you. 1. Re. Lincrusta ceiling paper seams repair: 5 of our ceilings are covered & painted and hung nicely on new sheetrock. Four after 30 years are still in grand shape. One, however is showing puckers and splits in only the horizontal seams…not badly but enough to notice. Please make suggestions. We are rural and have no one near who now hangs Lincrusta but I am handy!. Thank you. 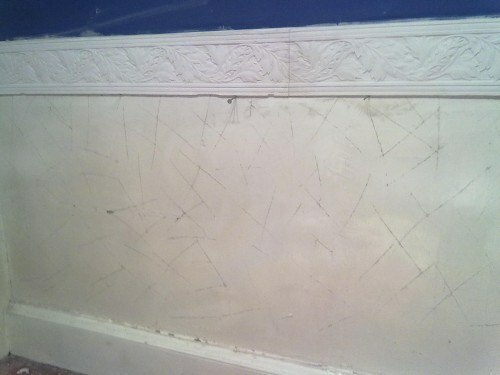 As an Advaced Installer and Restorer of Lincrusta, I am aviailble ot offer any help or advise if required.